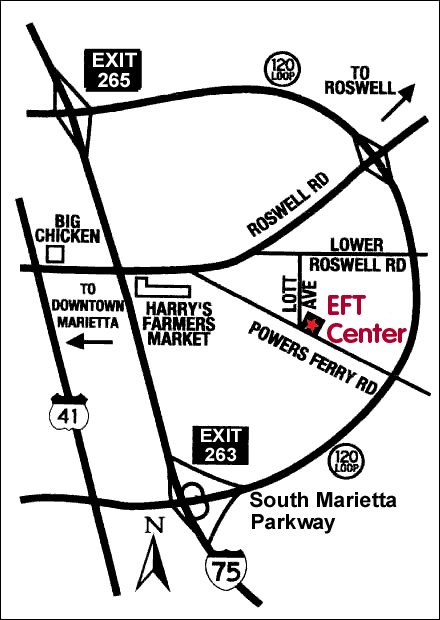 at exit 263 - South Marietta Parkway (aka 120 Loop) stay in the right lane, "Roswell" east. Next light, turn LEFT, Powers Ferry Road. We're on the right about 1/4m, Residential Area turned Commercial. 1 block past State Farm. at exit 263 - South Marietta Parkway (aka 120 Loop) turn LEFT.